Good morning Quick Quotes readers! Alicia here today in blogland. I am showing off a quick mini I whipped up for a Christmas gift. The flip album was included in a previous Club Q kit. Now I wish I had more...it was super easy. I printed a few pics, grabbed some matching papers, cut a few die cuts and chalked all the edges and tada! These are standard single page pockets. I didn't decorate them all and I left plenty of empties for my father in law to add his own pictures. 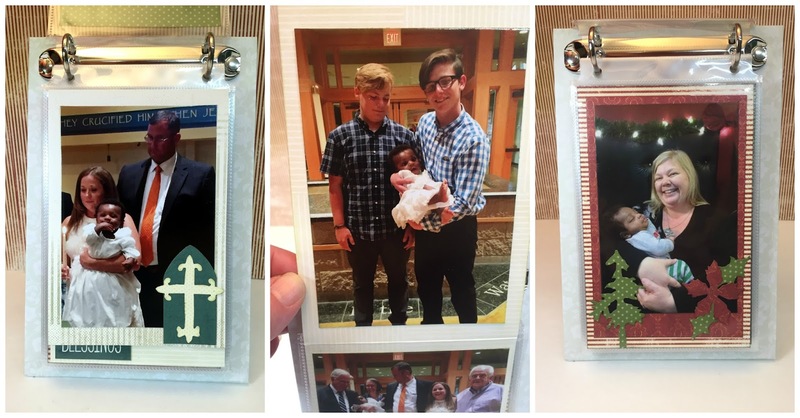 The basic measurement to create a multi-photo page is 4"x12" scored at 6.25". Placing the longer end inside the protector. After that I just cut pieces to mat the photos I had. I did not created a multi-photo for every page but about every other page. The hardest part is simply paying attention to the reverse side of the paper and making sure you have achieved the look and photo direction you desire. I used some scraps for small seasonal die cuts to add to the pages and Earth Wind Fire 500 paper for matching quotes and sentiments. I always ink my edges with PowderPuff Chalking Inks for a finished look. 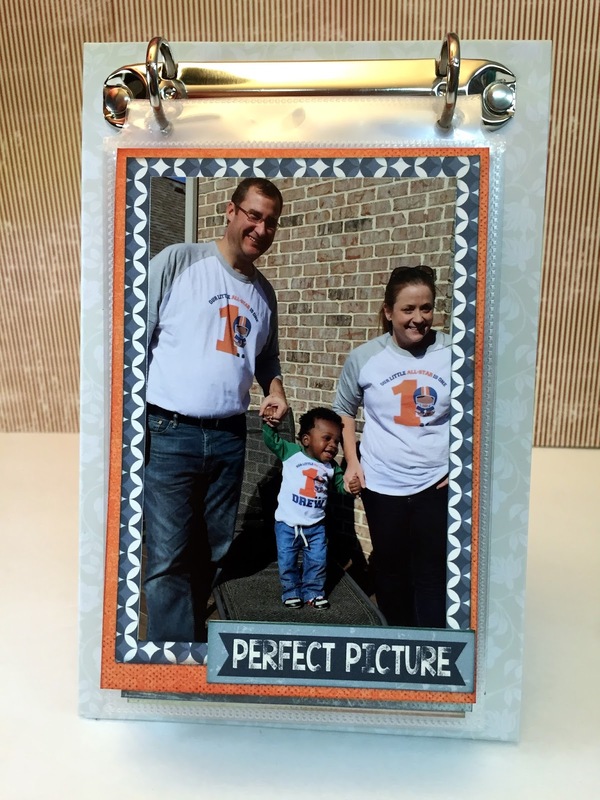 This makes a great gift for the non scrappy sort because they can simple add photo in the pockets without papers and decor.